Can ridesharing help reinvigorate downtowns? Last night I got some grief from a yellow taxi cab driver as I got into his cab at LaGuardia Airport. Tired from a long flight, I just wanted to get home. Instead I was told my choice of destination – a mere 10 minute cab ride from the airport– was too short to be worthwhile. Understandably, he wanted to pick up someone going a longer distance which would obviously result in a higher fare. I get it. He had been waiting for a ride for quite some time and here I go with a fare at least 25% of what he was expecting. From my perspective, I just wanted to get home without feeling guilty. He then helpfully suggested that I take the bus next time. When I relayed this experience on Facebook, I was surprised to see how many people responded with similar experiences. 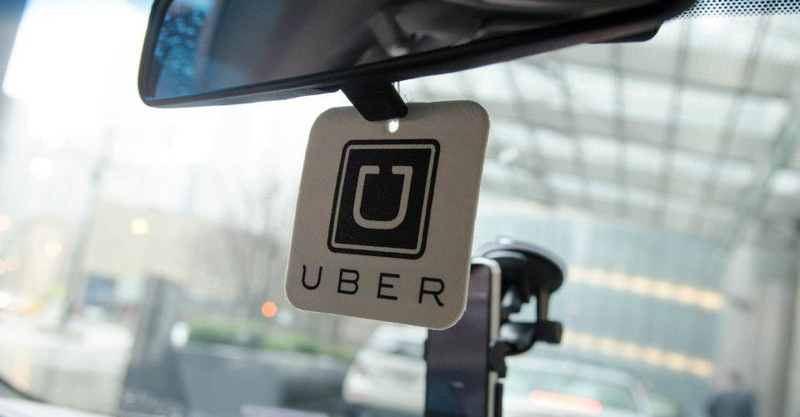 One neighbor suggested that she and her husband now call Uber – and they haven’t looked back since. At least an Uber driver knows what they are agreeing to before accepting the ride. All this got me to thinking…as Uber and other ridesharing services like Lyft start replacing traditional cabs, is the impact a good or bad thing for our downtown communities? I started looking around for research on this topic and realized there wasn’t much out there. Most of the analysis concerns the impact on labor markets and downtown congestion, but I was wondering instead about the impact on parking requirements and car ownship rates. If downtown living is made easier by ride sharing apps – meaning that downtown residents could choose to forgo a car entirely – or if downtown visitors choose Uber over their private cars resulting in lower parking demand – isn’t that a good thing for the future of downtown? I immediately recalled an article in the New York Times that peaked my interest a little over a year ago entitled “How Uber is Changing Night Life in Los Angeles” (NYTimes, 10/31/14). The article found a growing group of urban residents eschewing their cars – either only on weekends or entirely – and being “suddenly free to drink, party and walk places.” One artist who lives in Venice indicated that Uber had made a visit to downtown Hollywood on a weeknight an option that it hadn’t been before, saying “The prospect of going to Hollywood on a weekend night, if I was invited to a party or an art event, it just wouldn’t happen. I would just stay home.” For downtown advocates like myself, this is music to the ears. dynamics of the downtown core? For many thriving downtown, the visitor is increasingly looking for entertainment and dining, so it stands to reason that removing the challenges of driving (who wants to sit in traffic?) and finding parking, not to mention avoiding driving home drunk, would make downtown more appealing. Not only that, but if ride sharing makes car ownership less likely, then what follows is an opportunity to increase density without added parking. This would also serve to make downtown housing more affordable to build. And once that happens, could changes in land use regulations and parking requirements be far behind? Another potential area of impact – and this one is mostly for folks outside of the downtown core – is the potential for ride sharing to bridge the gap between trains and buses by helping people in far flung neighborhoods get their local bus or rail stops. This is called the “first-mile/last-mile” challenge. Right now Uber is working in Dallas and Atlanta and is in discussions with Seattle and Tampa, to help make better connections between public transit and car sharing apps. All good news. Ride sharing is also helping during peak demand times – such as special events. For downtowns that host major events, ride sharing can make attendance easier – by reducing the need to drive and park. Ultimately, the driving and parking experience, if it is not a positive one, undermines the overall experience and deters attendance. Perhaps ride sharing can mitigate against those outcomes? Another potential positive is the need for parking near train stations. Would this also mean less parking would be needed near train stations if folks can take an Uber? Having lived in suburban New York, near a regional commuter line, I can tell you that being able to take Uber to the train station would have made a real difference in my ability to get to and from the train line – which was my link to “the City”. In my case, the parking in and around the station was limited to residential permit holders, making it nearly impossible to get a spot when I needed one. And when I did find one it was often a long, cold, dark walk. Uber would have been a game changer for me. I don’t think I am alone. Steve Lopez, a reporter for the LA Times tried out driving for Uber and wrote a fun piece a few days ago. (“After driving for Uber, he’s keeping his day job”, LA Times, 1/13/16). One of his riders, Robecca Collins, is quoted as saying “I go out a fair amount with friends, and no one really drives anymore because no one wants to find parking”. She went on to offer that she plans to sell her car because she isn’t driving it much anymore. She also said she was tired of getting grief from taxi drivers who hassled her about using a credit card. None of this means that Uber isn’t having significant – maybe even negative – impact on taxi drivers and other competitors, who frequently complain to me about the loss in riders and income. It also doesn’t speak to the increase of cars on the road from Uber (which is what some folks have argued, “Uber’s Own Numbers Show It’s Making Traffic Worse”, Streetsblog NYC, 7/22/15). But it does give us some food for thought about how new technology is changing the way we live our lives, and perhaps making downtown living and density a more appealing alternative than ever before. Now THAT is something I can get behind.